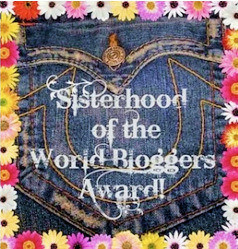 I would like to give a HUGE thank you to XO Luba for nominating me for the Sisterhood of the World Bloggers Award! She has a great blog all about makeup and beauty, so give her a look if you get the chance. Click HERE to see her blog! It is so great to see others appreciating my blog and I love awards like these! It is basically like the Liebster Award and other awards that have been circulating the blog world, it is a way for us bloggers to get to know a little bit more about each other. 1. What is the most embarrassing thing that has happened to you? Oh this question is always a hard one and I can never think of one! I guess I would have to say the most recent embarrassing thing that happened to me was hitting my head on the bus door the other day. I just moved to a new school, so it was even more awkward and I am pretty sure everyone on the bus saw it. I love seafood! I grew up in Alaska, and spend summer there so we always eat lots of seafood! 4. What is the last book your read? I listened to “50 Shades of Grey” on Audible. 5. What is a workout/exercise you recommend doing? Something you love! It is much easier to get a workout when doing an activity you enjoy, rather than going to the gym. I prefer to play beach volleyball. 6. What is you favourite movie and why? 7. Describe something you’ve always wanted to do. 8. What are your top 3 places you’d like to travel? 9. What is your holy grail product? 10. Choose : Night out on the town or relaxing spa day? Relaxing spa day every time! Put the award logo on the blog. Answer the predetermined 10 questions. Make up 10 questions for your nominees to answer. What is the number one thing to do on your bucket list? If you were stuck on an island, what is the one thing you would have with you and why? Thank you again XO Luba, and good luck to everyone! Congrats, girl! :)) How was 50 Shades of Grey?! lol Also, I love Pride and Prejudice with Kiera :))) SO good! Loll very nice! Yeah Kiera is awesome. I’ve not seen her in any movies lately though! Yikes! pretty bad about hitting your head on the bus on a new school day. I love how you did the audible version for fifty shades. I did the same thing while I drove to work. Yeah it was not the greatest feeling in the world! hahaha And I love audible! It makes time go by so much faster, especially when you’re driving.